Ever been in one of those situations where you’ve got absolutely no expectations and you come out stoked with the outcome? Well last year our first visit to the Bodalla Dairy Shed was a lot like that. It was a cold winters day and we were in the small south coast town of Bodalla, looking for some morning tea to stave off a bad case of the munchies. The Dairy Shed looked as reasonable option as any other in town, and it was close to where we were parked so that helped too. Just inside the doors were some shelves bursting in country kitsch items, with seemingly everything covered in the distinctive black and white markings of a Fresian cow. Fair enough. 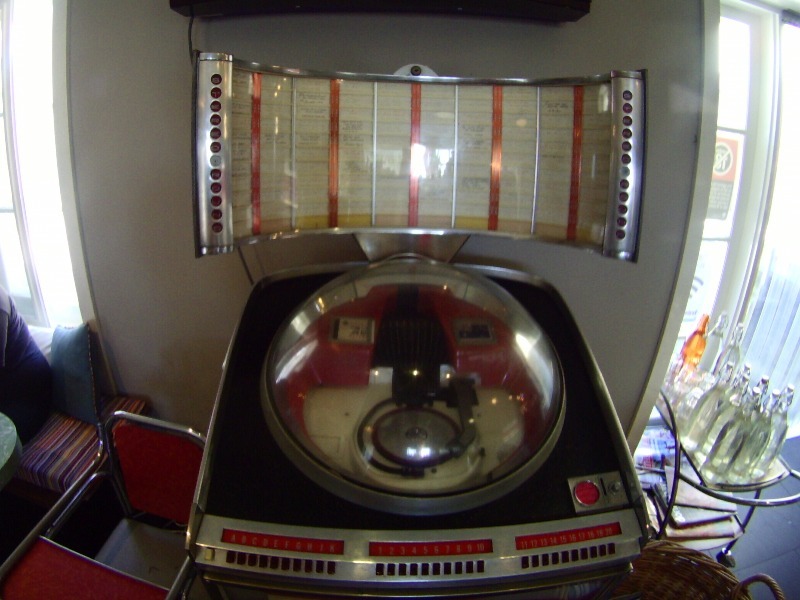 However a few more steps inside revealed the main area of the cafe decked out in vintage dining tables and chairs, with the feature piece being a fantastic atomic inspired juke box complete with a bubble top! The open fire blasting out warmth and the Johnny Cash cranked on the stereo just completed the awesome vintage vibe. The milkshakes and hot crusty scones with cream and jam that followed hit the spot just as well as the decor, and as a result a modest morning tea in a cafe became one of the highlights of our trip. 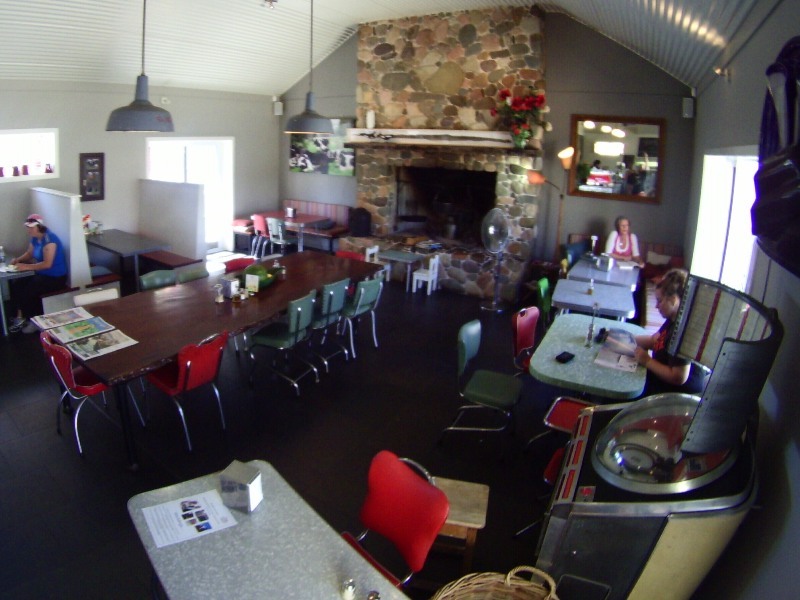 So it was with a little nervousness that we returned to the Bodalla Dairy Shed on our south coast trip on the weekend. For almost a year we’d been building up this place in our minds, but would it live up to our now lofty expectations? We’re glad to say it did! The decor was just as awesome as we remembered (and this time we had a camera), and the food was again fantastic – the milkshakes were great and damn the hamburger was up there with the best I’ve had.